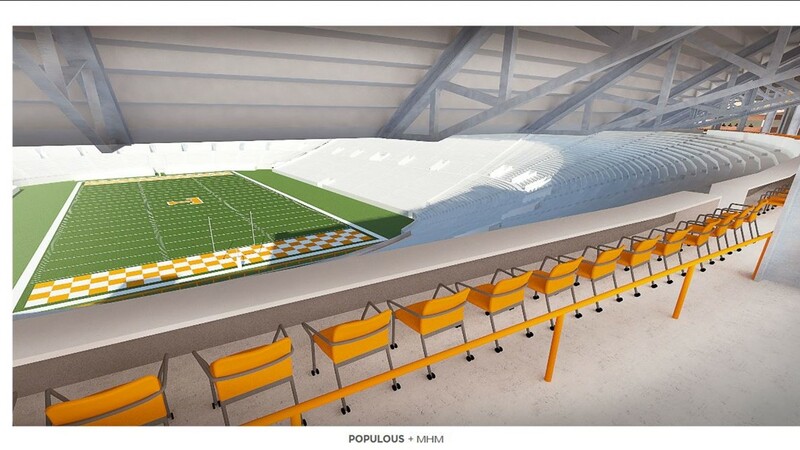 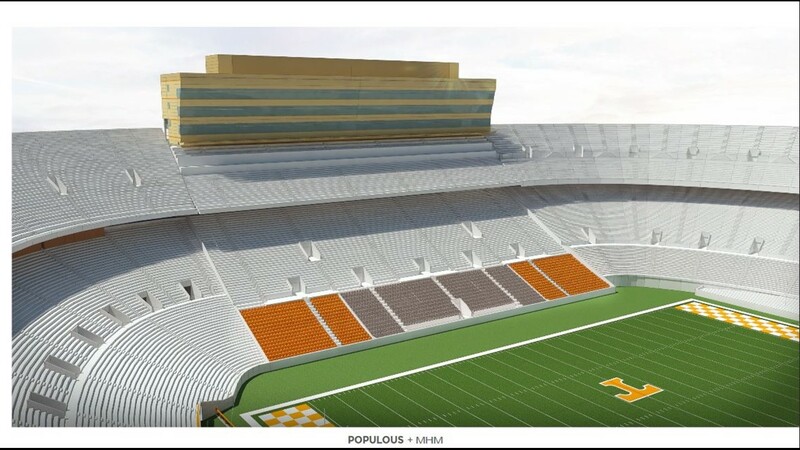 A rendering of Tennessee's plans for seats during Phase 1 of the Neyland Stadium renovations. 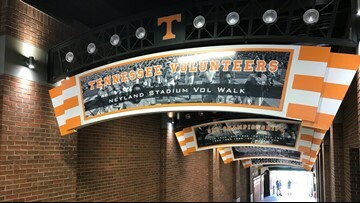 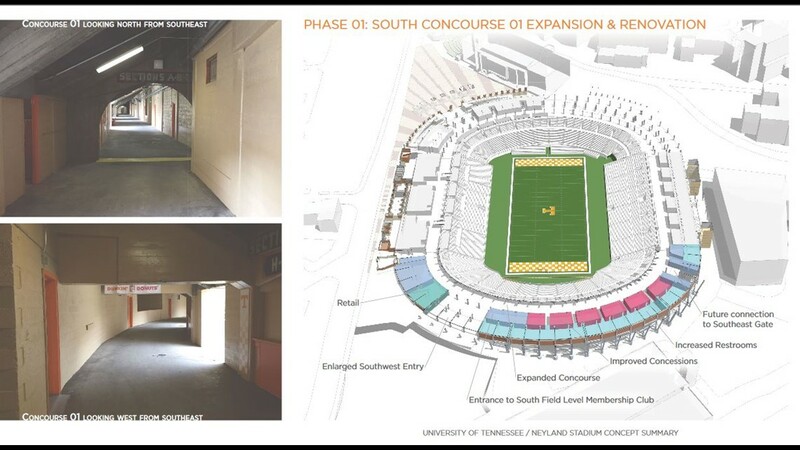 Phase 1 of the renovations for Neyland Stadium includes work on the South concourse. 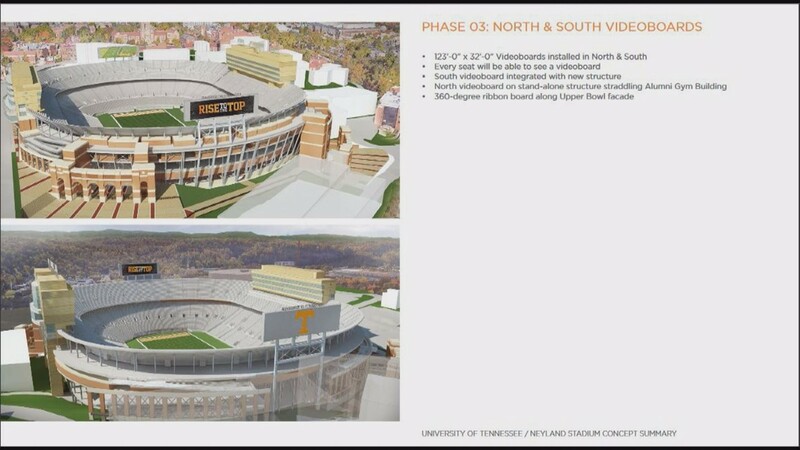 Rendering of the phase 1 renovations for the south endzone of Neyland Stadium. 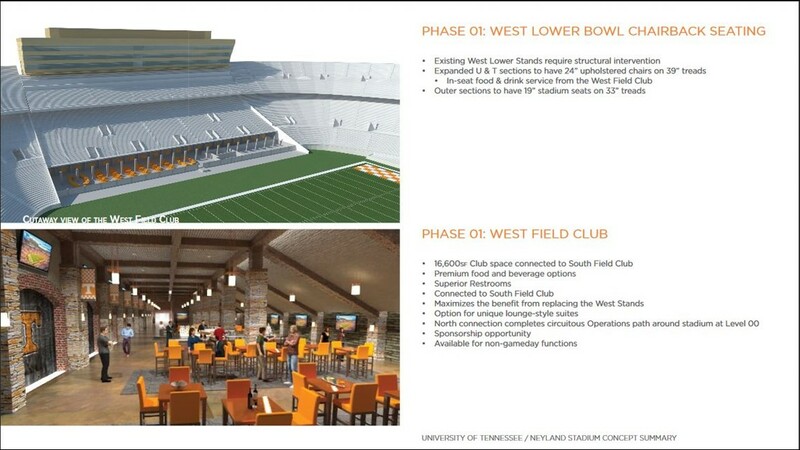 Neyland Stadium phase 1 renderings for the West Lower bowl chairback seat and field club. 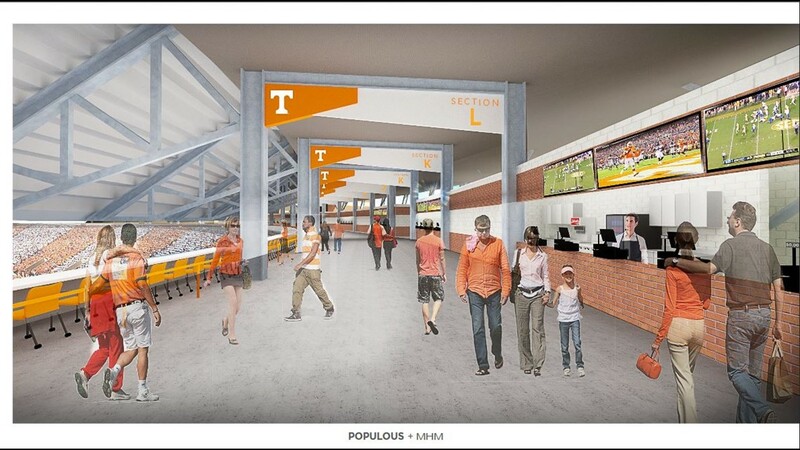 Rendering of the concourse renovations planned for phase 1. 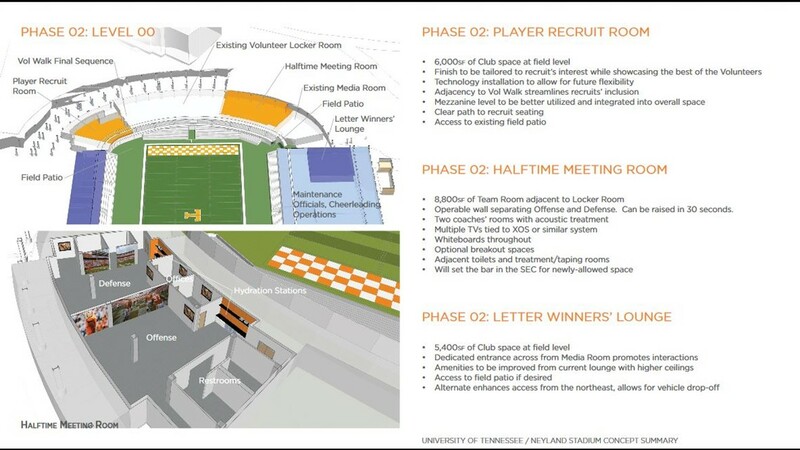 Overview of the phase 1 work planned for the Neyland Stadium renovations. 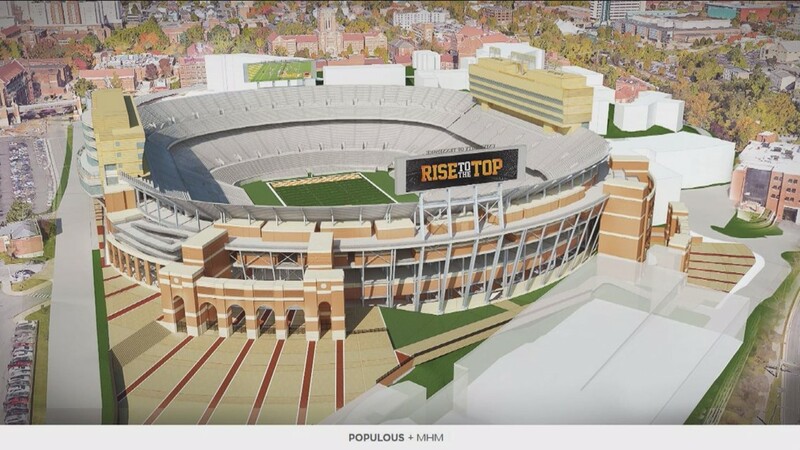 A look at some of the phase one renovations planned for Neyland Stadium. 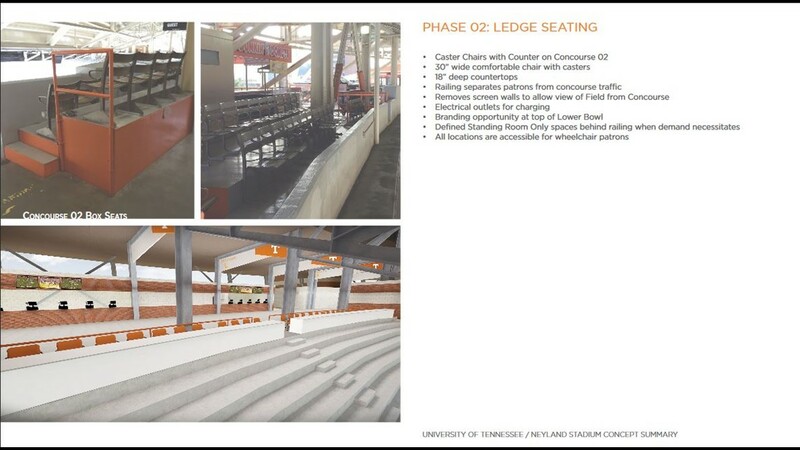 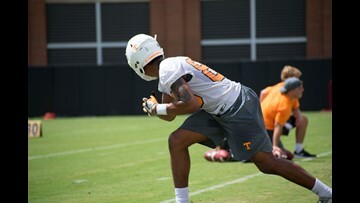 During phase 2 of the Neyland Stadium renovations includes work on the ledges seating. 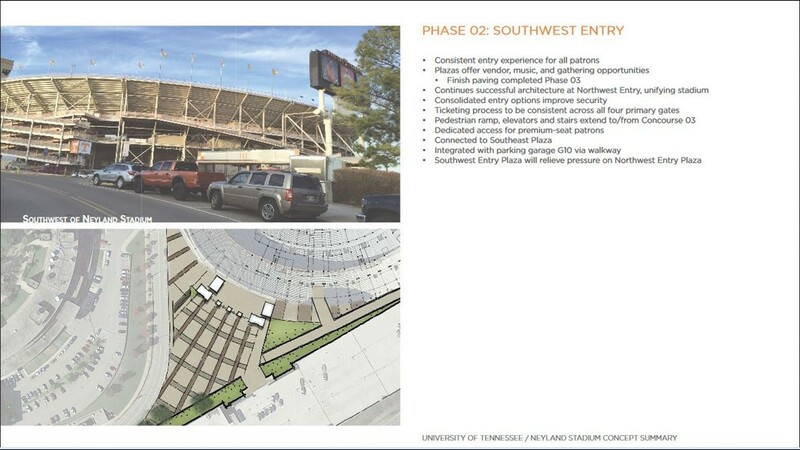 Work on the southwest entry will be one part of the planned phase 2 renovations at Neyland Stadium. 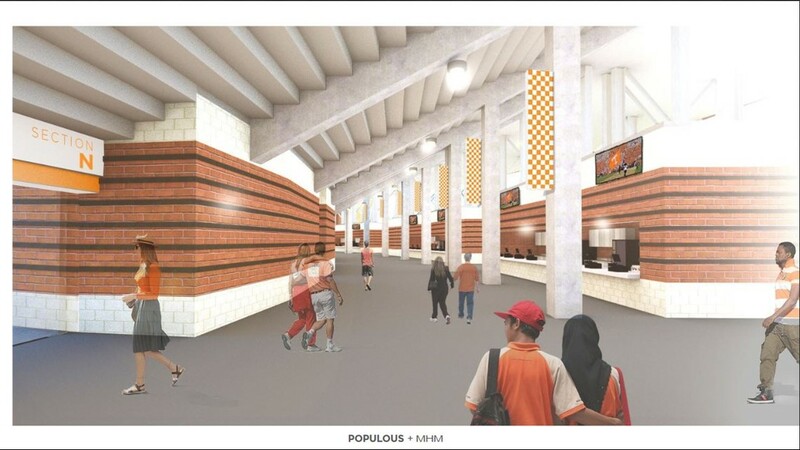 Rendering of the planned concourse renovations at Neyland Stadium. 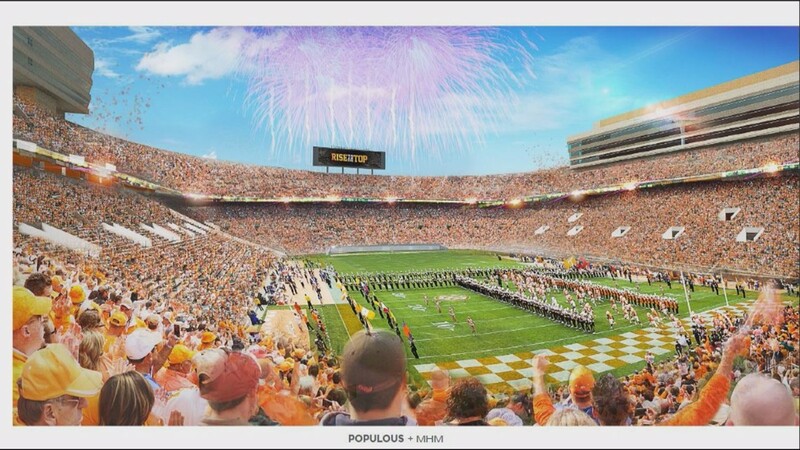 Neyland Stadium rendering after planning renovations. 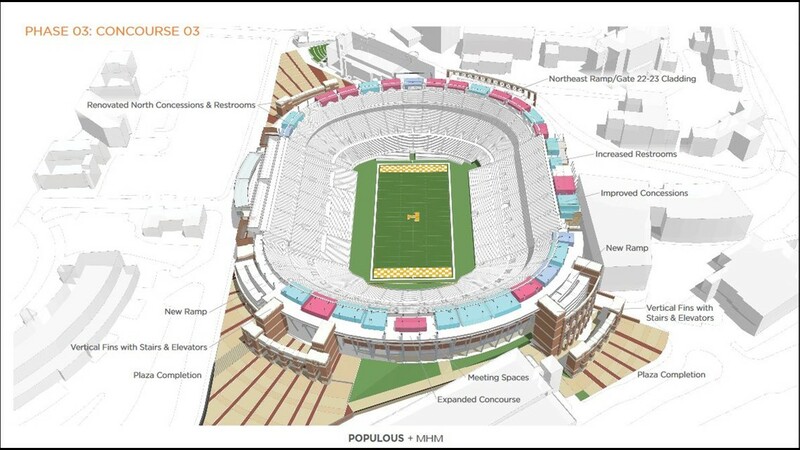 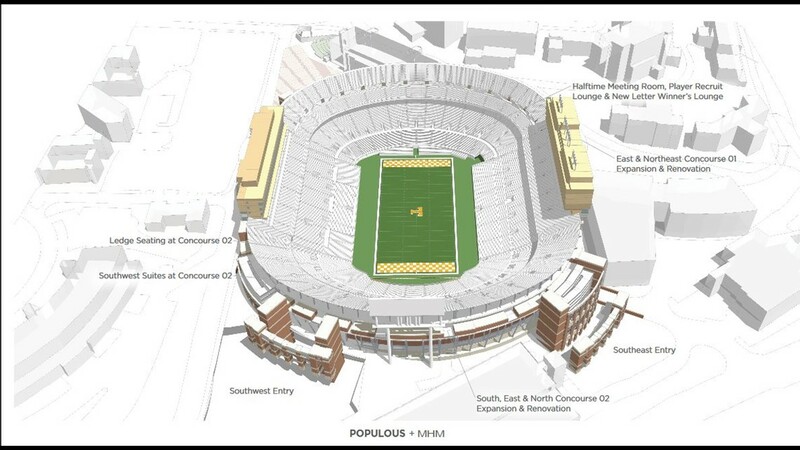 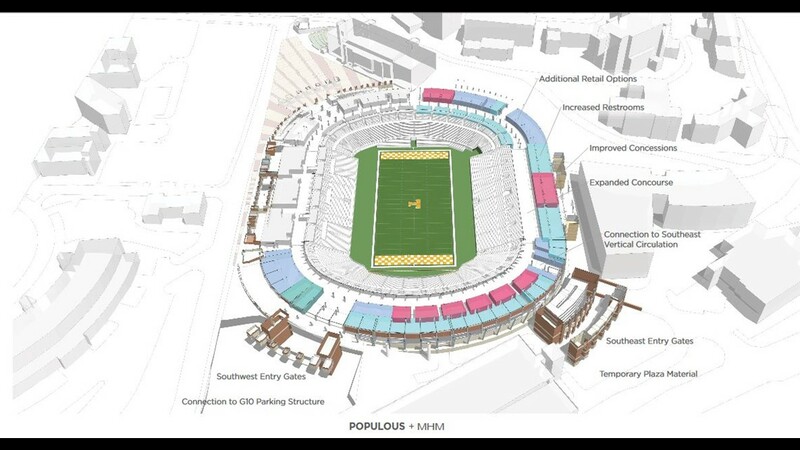 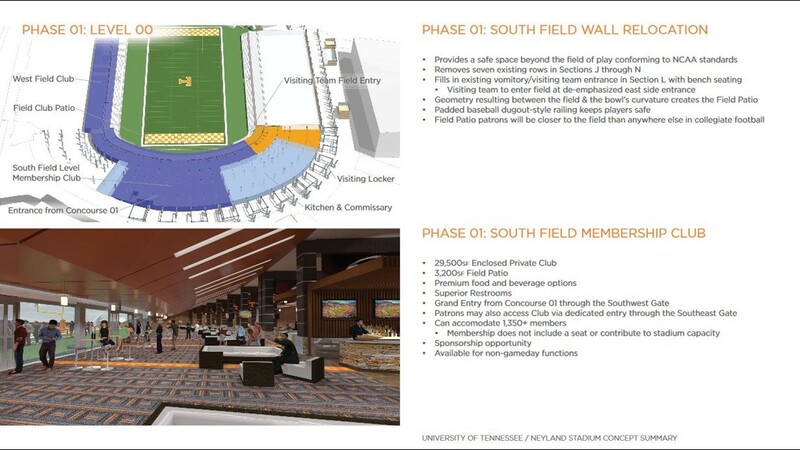 Overview fo the phase 2 work planned for the Neyland Stadium renovations. 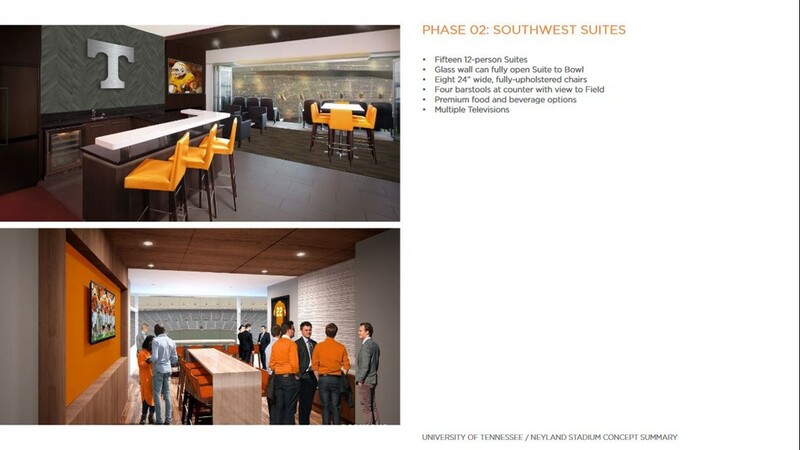 Rendering of the Southwest Suites planned for phase 2 of the Neyland Stadium renovations. 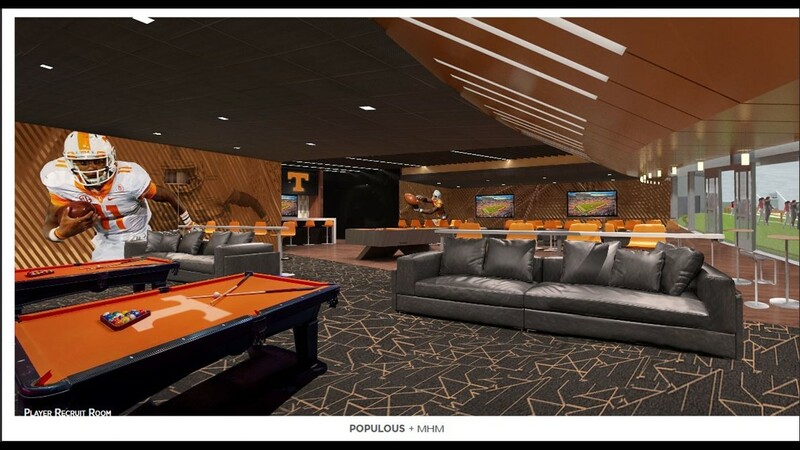 Rendering of one of the lounges planned for phase 2 of the Neyland Stadium renovations. 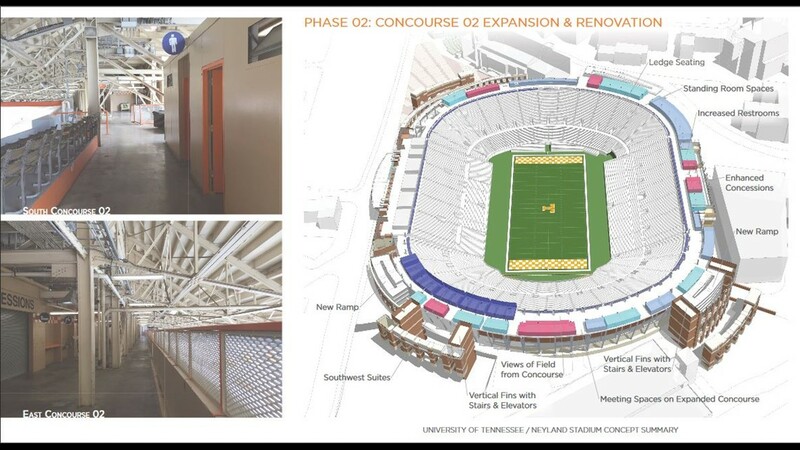 Overview of the concourse work planned for phase 2 of the Neyland Stadium renovations. 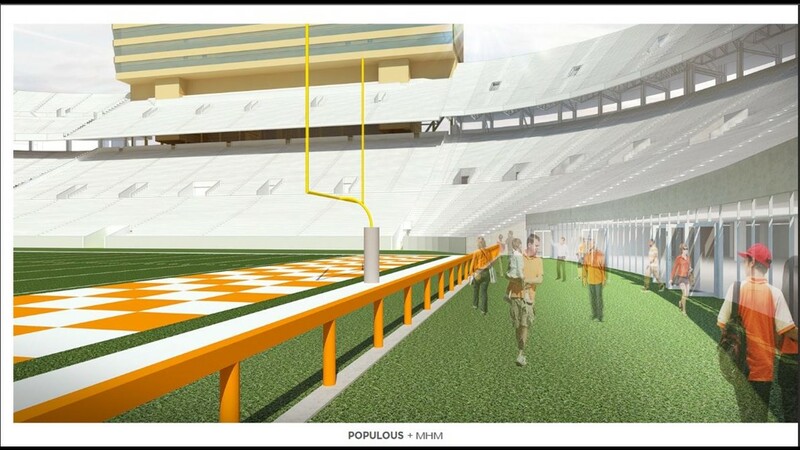 Renderings of some of the field level renovations planned for Neyland Stadium. 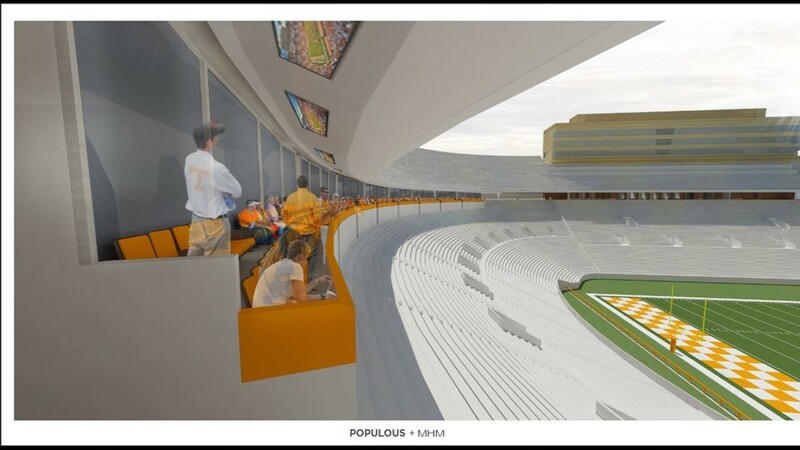 Phase 2 of the Neyland Stadium renovations includes work on the ledge seating. 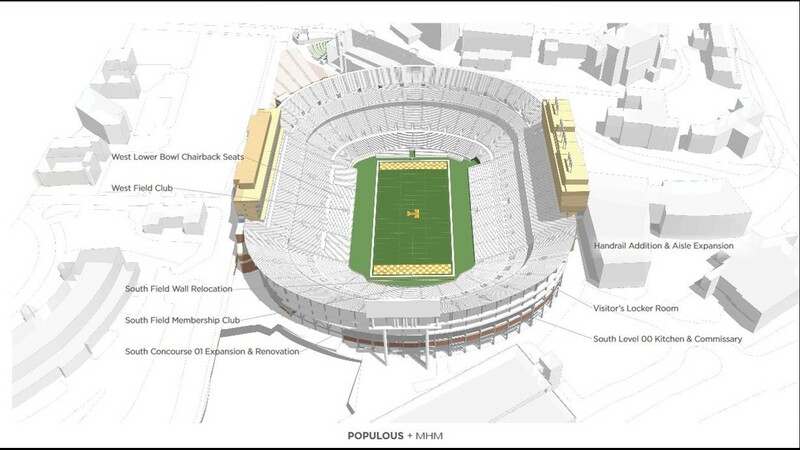 A look at the planned work for phase 3 of the Neyland Stadium renovations. 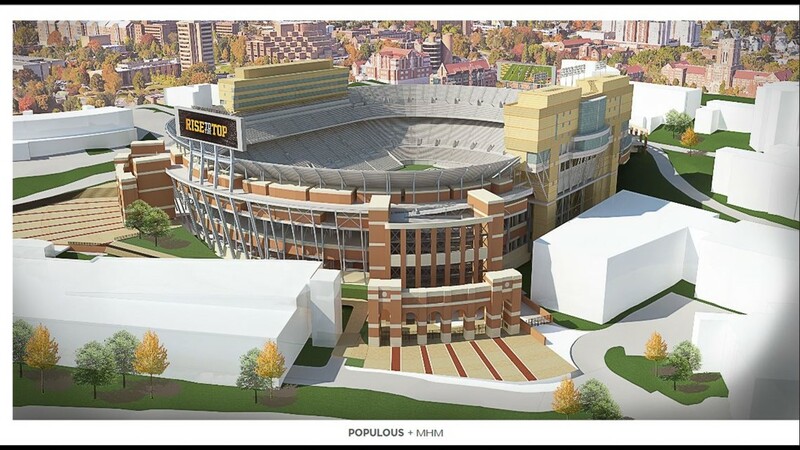 Rendering of what Neyland Stadium will look like after renovations.